The short cross penny was one of the most successful English coin designs in history. The coinage ran for an incredible sixty-seven years without change, the incredible nature of this achievement is most appreciated when the coins are considered in their historical context. Even as far back as the tenth century it had been common practice to rotate coinage designs on a regular basis, somewhat like modern British banknotes. In essence what happened was as thus; A coinage design would be introduced and would circulate for a number of year usually between five years and ten years, depending upon circumstance. After a certain period of time a new design would be introduced and the old coins would be called in and melted down. Although no coin book actually states it as such, it can be inferred that the redeemed coins were possibly demonetized at some date after a period of grace. The reason for this conclusion is as follows. Firstly the point of regularly rotating the currency was to keep the workmanship and the silver fineness up to a high standard. The only way to effectively maintain such control over the coinage would be to regulate it strictly, hence why moneyors found to be producing under weight coinage or coinage of sub standard workmanship would be castrated and have their right hand removed. Whilst this system worked well up until the late eleventh century, by the early twelfth century the system was being abused. The coinage of Henry I produced from 1100 to 1135 became increasingly crude and of inferior workmanship. Poor and weak off center strikes abounded, moneyors were producing underweight coinage and making a profit at the king's expense from the silver they had kept back, they then ensured that the mint name was indecipherable so that the monarch could not track where the coin had come from. Henry however had a trick up his sleeve and decided to make an example of the moneyors he knew had produced substandard pieces. The moneyors were called to Winchester Cathedral at Christmas 1124. The brighter and more intuitive moneyors that had taken advantage of their position realized the game was decidedly now against them and the fled abroad. The majority however turned up as requested where they were shocked to find that the king turned on them and made them account for their actions. Debasing the coinage was serious business as the whole reputation of England's financial status could be undermined as could trade. The king had several moneyors mutilated and castrated as a punishment hoping that this would send the message home to those that had been let off. 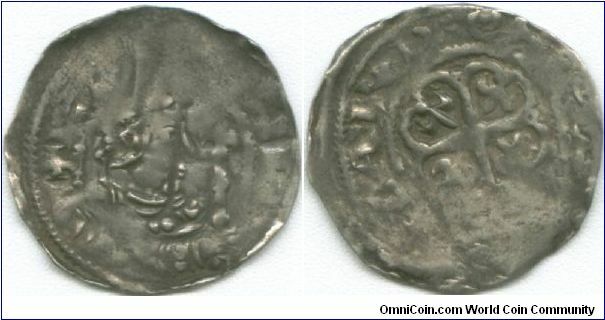 King Stephen (1135-1154) silver penny, Shaftesbury mint issued about 1136. This believe it or not is an average strike! Whilst Henry's policy worked in the short term, as the coinage greatly improved, it didn't't stay improved for long and soon went back down the old road. However by 1135 Henry I had died and was not in a position to do much about it. The following decades saw a succession crisis and thus a civil war between King Stephen (a rather charming usurper by all contemporary accounts) and the real heir, his cousin the Empress Matilda (who was rather arrogant and unpopular by all other accounts). Either way the period from 1135-1154 saw a country where the power base moved from one party to another and the moneyors were pretty much free to take advantage as they saw fit. The coinage whilst remaining of good silver did deteriorate further due to poorer working conditions, there was a lack of decent dies as the Royal revenue responsible for such matters were more interested in other things. Thus substandard equipment plagued the moneyors who were also afraid to back either side entirely in case the situation changed. 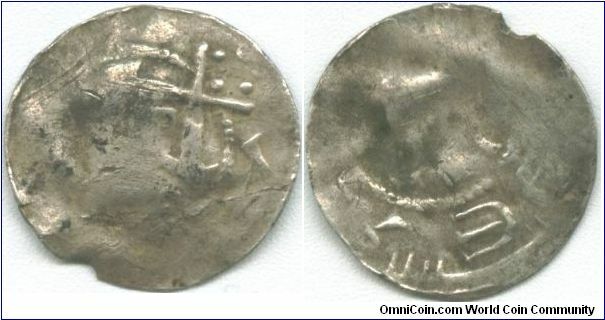 Thus coins with blundered obverse legends and indecipherable mints are common for coins of this period. By 1154 Stephen had died and Matilda's son Henry II had gained control of England, Stephen's coinage continued to be produced until 1158, with all of the problems it had developed since 1135. Henry II hoped in 1158 to remedy the situation by introducing the Cross and Crosslets penny (more commonly known as the Tealby penny, due to a large hoard found there). The name Cross and Crosslets comes from the reverse design of a central cross with smaller crosses in the four angles. The silver standard of this issue was generally very good but the workmanship was truly dreadful. Bad strikes continued and the coins were not particularly aesthetically pleasing, thus in 1180 Henry decided to try a new tactic. The coinage from the tenth century right up to 1180 had continued to have regular design changes but the whole point of this design rotation was to keep the coinage to a high standard. The problem was this whole approach was simply not working anymore, no matter how many moneyors were being mutilated someone would still find the allure of clipping a coin more enticing than the fear of the consequences. It was believed that the constant design changes were more of a hindrance than a help, because every few years the people would have to familiarize themselves with a new design, thus it was going to take a while for people to notice what to look out for when accepting the new coins. Such things as knowing whether a coin was underweight or clipped etc. The recent struggles between Stephen and Matilda had also emphasized the need for not change but continuity and stability. Thus in 1180 it was decided to introduce a new coin design of better workmanship, of a more uniform size and even shape (Tealby pennies sometimes came out square!) and more importantly of a design that could stay in circulation indefinitely. 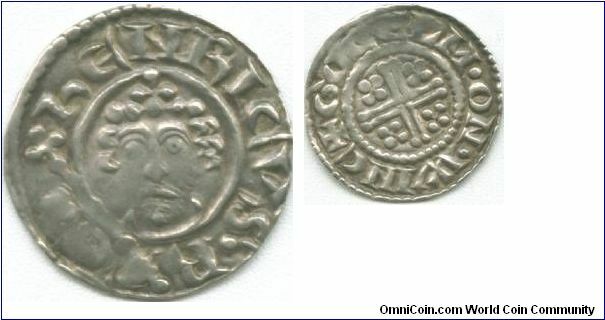 The short cross penny was born in 1180 and would run through four reigns with very little alteration, indeed such little alteration that the obverse legend would always read HENRICVS REX (King Henry) regardless of whether the king was called Henry, Richard or John. The style of the short cross pennies are all so similar that the entire life span of the series from 1180 to 1247 saw them assigned to classes based upon minor differences in design. Thus they are numbered from Class 1 to Class 8. The design was of a forward facing king on the obverse, the reverse depicted a short cross, hence the name of the coins. The coins held up well in circulation although like most coin designs over time they were prone to becoming of increasingly sloppy workmanship as the years went on. Class 3 during Richard I's reign saw the first slip into degradation, which reached a zenith during Class 4. By the end of Class 4 in the early years of John's reign it was considered unacceptable to have such crude workmanship and thus Class 5 was issued in the hope of undoing the damage. Class 5 coins are certainly of better workmanship that Classes 3 or 4 but even so the new issue was still inferior to Class 1. But even by the end of Class 5 and early into Class 6 the quality was beginning to slip once more and the trend continued until the end of the coinage with the poor Class 8 issues. 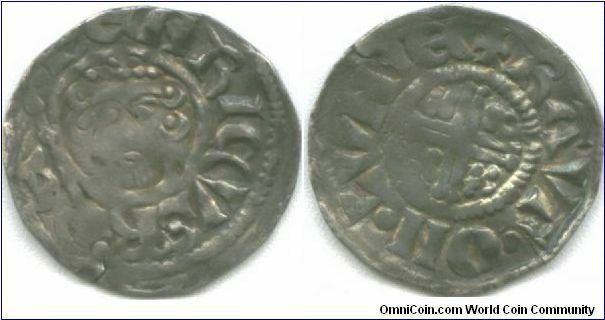 Class 6 King John Short Cross penny issued around 1210 by Rauf of London. The increasingly sloppy workmanship was not however the final nail in the coffin for the Short Cross Penny. The coins had proved themselves a better alternative to their predecessors but the old enemy of hammered coins, clipping proved to be their ultimate downfall. By the 1240s clipping had become so prevalent that something had to be done to curb it, thus it was decided that a design should be introduced that would show up clipped coins even sooner or hopefully make it near impossible to pass off a clipped coin. Thus in 1247 the solution to the perplexing problem was put forth and coined. It was decided that by extending the cross to the edges of the coin it would help to prevent people from clipping them as they would be easier to detect. The new Long Cross penny entered circulation in 1247 and the Short Cross penny's long reign was over.